We are pleased to announce that Lydia Sinemus has accepted the position of Manager, Virginia Operations Human Resources and Environmental, Health and Safety. 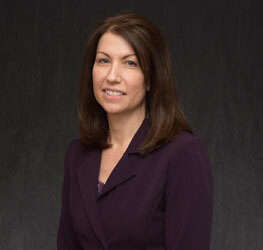 In her new role, Lydia will be responsible for directing all aspects of Bristol and Highlands environmental, health and safety as well as assist the Corporate Director of Human Resources concerning HR functions for Strongwell’s Virginia facilities in accordance with the policies and practices of the corporation, the company ethics code, regulations and administrative rulings of governmental organizations and other regulatory authorities. She will report to the President and CEO. Lydia graduated with highest honors from East Tennessee State University earning a Bachelor’s of Science degree in Geology, and minoring in Environmental Health. She then expanded her education, earning a Master’s Degree in Environmental Health. Lydia has a wide range of experience. She has worked in the private sector and for the state of Virginia. She has used her experience and knowledge as an adjunct faculty member at Virginia Highlands Community College. In her spare time, Lydia enjoys playing tennis and spending time outdoors. She and her husband, Jim Flannagan, reside in Bristol, Tennessee. Please join us in congratulating Lydia on her promotion.